Graduates of Harvard Business School run many of the world's biggest and most influential banks, companies and countries. 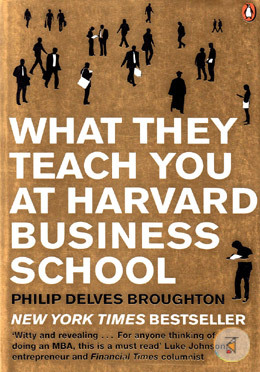 But what kind of person does it take to succeed at HBS? And what do they learn there? Philip Delves Broughton's enlightening and hilarious memoir of his two years at Harvard takes us from first class to graduation, encompassing the case studies, the guest lectures, the Apprentice-style tasks, the booze-luge, the burn-outs and high flyers, as well as all the advice, wisdom and folly he found in this 'factory for unhappy people'.